It’s nice to know that you can do something for someone else just by sipping a glass of Nederburg wine. And if you’re a cyclist, you can go the extra mile (if you know what I mean) by potentially winning a prestigious Cervelo road bike. I’m told by a bikey-person I know, that if you think of the bike in terms of cars, its the equivalent of a Lamborghini. Yay. Let me explain. South African wine producer Nederburg has teamed up with the charity Qhubeka to establish a bicycle assembly facility in the Western Cape. This will help provide cycles for people in local communities so they can access education, healthcare and jobs. In other words, they won’t have to walk long distances and life will be so much easier and better. How can we help in the UK? 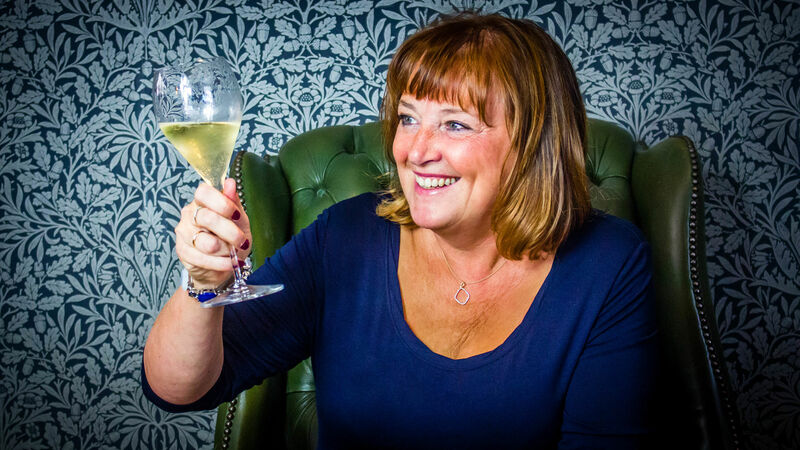 Nederburg has launched the #DoYourPart campaign and is donating 5p from every purchase of selected Nederburg 56 Hundred wines (in Tesco and Asda). 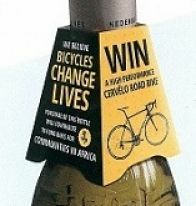 The bottles have neck collars which include details of how to win the Cervelo bike. I’ve had a tasting preview of 56 Hundred Pinot Grigio (13% abv): It isn’t a mind-blowing wine but as far as pinot grigio goes, at the price it is a pleasant, refreshing affair. It has light notes of pears and flowers but it isn’t a wine to stand up to too much scrutiny. It will be a great Kitchen Party Pourer or will help you unwind after a pretty horrid day at work without you worrying too much about the price.